Jonesborough, TN -- The Historic Jonesborough Bluegrass Series will present an award-winning evening of music on October 20th when The Boxcars and Junior Sisk and Ramblers Choice visit the concert series. Joining The Boxcars and Junior Sisk and Ramblers Choice will be Lorraine Jordan and Carolina Road, The Moore Brothers, and Niall Toner. Produced by Mountain Music Entertainment and nestled in Tennessee's oldest town, the Historic Jonesborough Bluegrass Series is looking forward to bringing another concert featuring top-notch entertainment to the East Tennessee region. This performance will conclude the 2012 series season. 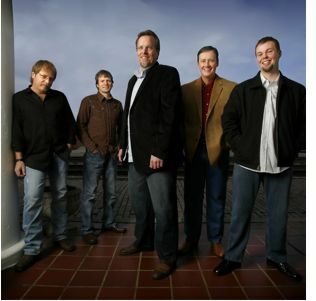 The Boxcars, are recognized as one of the finest in bluegrass music today, evidenced by their being named International Bluegrass Music Association’s (IBMA) 2012 Instrumental Group of the Year and also winning the 2012 Mandolin Player of the Year (Adam Steffey). The band line up features Ron Stewart (banjo), Keith Garrett (guitar), John Bowman (fiddle), Adam Steffey (mandolin), and Harold Nixon (upright bass). Their latest release All In is receiving critical acclaim in the acoustic music community. Junior Sisk and Ramblers Choice, continue to bring hard driving traditional bluegrass to prominence, and took home top honors this year with the International Bluegrass Music Association’s (IBMA) 2012 Song of the Year ("A Far Cry from Lester and Earl") and the 2012 Album of the Year (The Heart of a Song). Over the years, Sisk’s haunting, almost lonesome vocals have earned him the devotion of countless traditional bluegrass fans from all over the world. His songwriting talents helped the Lonesome River Band make their ascent into bluegrass stardom in the early 1990's and then he became a member of Wyatt Rice & Santa Cruz and ultimately Blueridge, again reaching new audiences that would eventually follow him on his own musical path. Junior Sisk is at the top of his game and has surrounded himself with a top notch band of musicians including Jason Tomlin on bass and vocals; Chris Davis on mandolin and vocals; Billy Hawks on fiddle and vocals; and Jason Davis on banjo and vocals. The band are the Official Ambassadors to the Jonesborough Bluegrass Series. Rounding out the night of music are the current Bluegrass Unlimited Chart Toppers Lorraine Jordan and Carolina Road, The Moore Brothers Band, featuring the young brother duo of Jacob and Isaac Moore, and hosting the evening of music Niall Toner, who is touring the USA from Dublin, Ireland in support of his Pinecastle Records release Onwards and Upwards.